​The judge said Manafort "intentionally made multiple false statements to the FBI, the [Office of Special Counsel] and the grand jury." 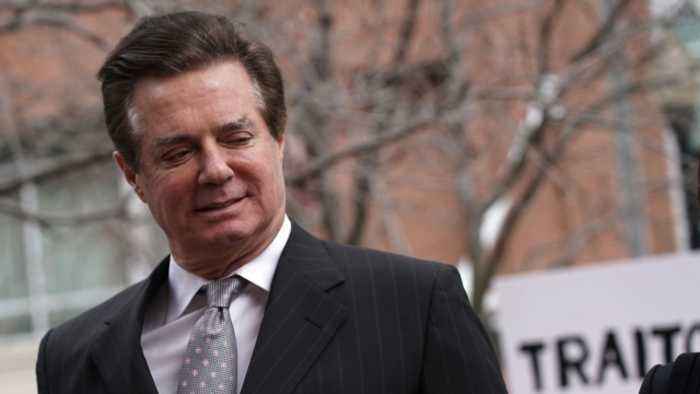 A federal judge ruled Wednesday that former Trump campaign chairman Paul Manafort lied to the FBI and federal prosecutors in the special counsel investigation into Russian election interference. In her ruling , the judge said evidence showed Manafort "intentionally made multiple false statements to the FBI, the [Office of Special Counsel] and the grand jury concerning matters that were material to the investigation." She said Manafort deliberately lied in three of five areas alleged by prosecutors, including "his interactions and communications with [Konstantin] Kilimnik," a Russian national who the special counsel says has ties to Russian intelligence . As such, the judge has voided Manafort's plea deal. Manafort has been behind bars since June. He was convicted of bank and tax fraud last year before pleading guilty to two separate charges . His attorneys denied that he lied to special counsel Robert Mueller's team before the judge's ruling. Manafort is scheduled to be sentenced on March 13.